Juan has a degree in Veterinary Medicine and worked as a Veterinarian in the Dominican Republic before moving to Florida. Juan repeated coursework toward his Veterinary license in the United States for a short time before abandoning the career path, for a profession in audiovisual technology. 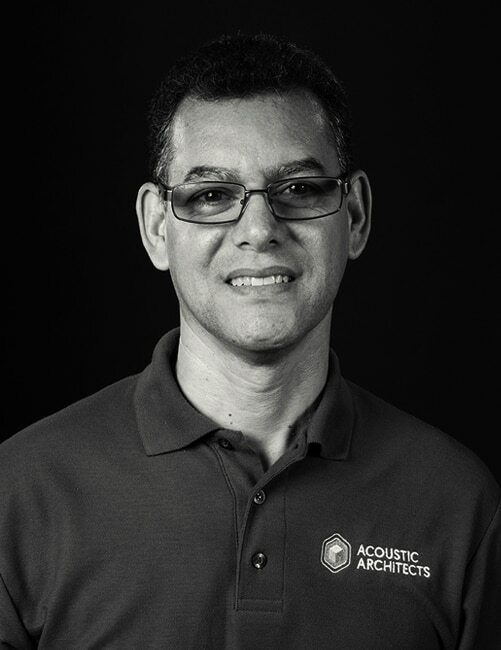 Since then, Juan has worked in AV for 15 years before bringing his expertise to the team at Acoustic Architects.